Get to know what Totem Skateboarding is all about. Established in 2010, Totem Skateboarding facilitates skateboarding events and workshops around Sydney and across Australia. We run competitions, demonstrations, in-school and after-school activities, private and group coaching sessions, holiday programs, community fun-days, corporate and team building events, birthday parties and skateboarding-focused photography and art workshops. Totem’s focus is developing self esteem, personal identity and self image through positive attitudes and activities — skateboarding is simply our vehicle for this message. Totem Skateboarding is a Sydney-based business, however our roots began in Leeton, rural New South Wales, where head coaches Nigel and David grew up. It is this insight into city and country living that makes Totem such a unique team. Nigel has been skateboarding for 19 years and coaching for a decade. The man lives and breathes skateboarding so it’s no wonder he co-established Totem Skateboarding back in 2010. Nigel also has a genuine passion for working with young people and has earned certificates in Youth Work and Community Services Work at Northern Sydney Institute. He’s a not only a skate-coach and event organiser, but a proud father to Airlia and an accredited member of The Australian Sports Commission. David has been skateboarding for almost two decades and has been involved with many skate related projects since his youth, including most of Totem’s major events. David has a particular interest in taking skateboarding to rural Australia and spends much of his time travelling the country. Having studied yoga in India and spent time living amongst many of the world’s cultures, David brings a unique and wonderful skillset to Totem. Chris aka ‘Diesel’ is an absolute workhorse both on and off his skateboard. 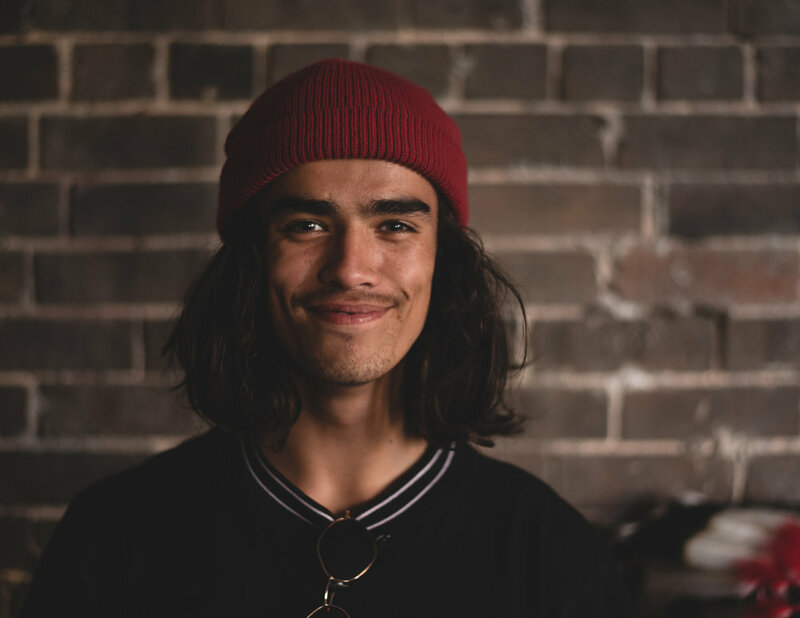 Between travelling to regional areas to facilitate Totem’s events and run skate lessons, Chris still finds time to hit the streets and skate for himself. Photos of Chris’s skateboarding have been published in the pages of Slam Skateboarding Magazine and he is currently stacking skate footage for a video part with Vans. Riwaz is one of Totem’s head coaches and a highly technical street skateboarder. He’s got a huge bag of flip and ledge tricks, which has led to his sponsorship from Baker Skateboards, New Balance and 335 Skate Supply. In addition to being a talented skateboarder, Riwaz is also remarkably humble, with a reputation for giving everyone the time of day. Aidan is a well-respected street skater and skate coach, bringing a solid bag of tricks and a super positive attitude to the Totem team. He helps run a bunch of our events in greater Sydney and also skates for New Balance and 335 Skate Supply. Sari is one of Australia’s most promising young female bowl skaters. She has competed in the Bondi Bowl-O-Rama, is on the Dickies Australia team and is only just finishing school. She’s also a great skate coach and role model for the influx of young women who are getting into skateboarding. Nixen is one of Australia’s most promising up-and-coming skateboarders. Based on the Gold Coast, Nixen often comes along on Totem trips, both as a skate coach and a one-man skate demo. Nix is the kid launching himself out of the biggest quarter pipe or grinding the big handrail in the streets; he skates for Creature, Independent, Vans and Afends. Aimee Massie is one of Australia’s best female skateboarders and has been competing all over the country for about a decade. In 2018, she qualified as a wildcard for the X Games in Sydney and skated alongside some of the world’s top pros. Originally from the Gold Coast, she recently moved to Sydney to further pursue skateboarding. Ryder has won a ton of Australian skate competitions, had plenty of photos run in Australian skateboarding magazines and a few video parts to boot. In 2018, he qualified as a wildcard for Sydney’s first X Games and skated alongside some of the world’s top pros. It’s a pleasure having this Cronulla local on Totem trips, both as a coach and a skate demo guy. Wadeos is one of Australia’s most well-respected skate photographers, regularly contributing his images to Slam Skateboarding Magazine, The Skateboarder’s Journal and working as a team manager for Afends clothing. He’s also a loyal member of the Totem family and does an awesome job of capturing what happens on Totem trips. Hailing from the Sunshine Coast in Queensland, Wade spends most of his life on the road as a skate-photographer and goodtime boy. Jack is a promising up-and-coming videographer who’s currently making his mark on Australian skateboarding. Over the last few years, he’s had the chance to film with some of the country’s best skaters and brands. Jack has filmed and edited the Totem Fernside competition for the last two years in a row and helped film the Lodown Skate Shop video in 2018.